Mannvit’s acquisition of shares in GTN Latin America (“GTN LA”) is a part of the company’s strategic international growth plan and one that will provide needed geothermal industry expertise to Chile and the region as a whole. The acquisition of shares also allows Mannvit to expand its service offerings in renewable energy to South and Central America countries, while helping to pave the way for this growing industry in Chile. With over four decades of experience, the Iceland-based Mannvit has participated in development and construction of projects producing over 1000 MW in geothermal power and heating, adding to GTN LA’s capacity. GTN LA is a company founded by Fundacion Chile and GTN of Germany. 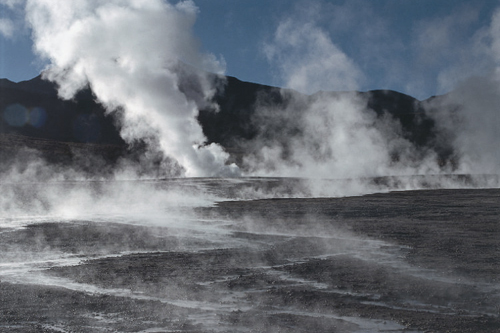 The company offers innovative solutions for the direct use of geothermal energy. Recent Chilean projects include geothermal heating and cooling systems. “GTN LA’s range of services increases with the entrance of Mannvit, at a time when we can see a definite increase in the development of geothermal energy in Chile,” says Marcela Angulo, Head of Energy and Climate Change at Fundación Chile. “The services they offer is quite distinguished, and integrates decades-long experience in utilizing geothermal energy. For the Chilean market, we foresee the need to utilize their geothermal expertise for direct heat, electricity production and combined heat and power applications, all done with a strong emphasis on the sustainability of the geothermal resource, which we are confident will contribute to a greater acceptance of geothermal energy by communities and the general public,” she added. Mannvit’s Deputy CEO, Runolfur Maack added, “We see a tremendous potential for geothermal energy in Chile and by becoming a part of GTN LA, Mannvit can contribute to the development of this growing industry in Chile and in South America”, adding that “because Mannvit offers technical services ranging from exploration and engineering of power plants to project management in every phase of geothermal projects, we can service the entire geothermal market”. Geothermal energy has recently emerged as one of the best options to supply Chile’s growing economy with locally-sourced energy. Geothermal energy is clean, renewable energy that has proven itself to be highly competitive with traditional sources of power. Further, geothermal is a proven technology with a high capacity factor and minimal impacts to the environment and neighboring communities.